Elevating and invigorating verses on divinity, purity, strength and guidelines for young adults. Well known verses from the vast Sanskrit literature have been collected here with an eye to young people. 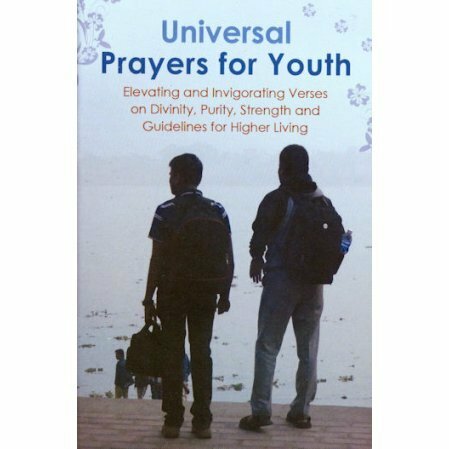 Selections from the Bhagavad Gita, Upanishads, Puranas and other scriptures have been chosen for their wisdom and spiritual sentiments that may be especially helpful to those just awakening to the religious possibilities of life. The verses are presented in their original Devanagri script, followed by a Roman transliteration and English translation. A passage from the writings of Swami Vivekananda is then added as commentary. Swami Atmashraddhananda edits the Vedanta Kesari, the cultural and spiritual monthly from Sri Ramakrishna Math.